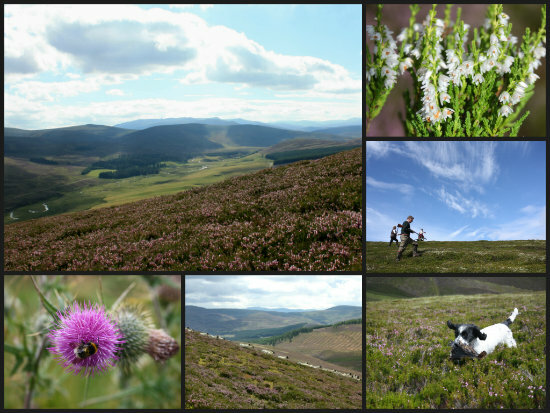 Allargue is a family-run estate located in the heart of The Cairngorms. Rosey and Adrian Walker live in Allargue House year-round, and host shooting parties during grouse and pheasant season. Rosey’s parents, Zilla and Miff, live in the cottage next door. 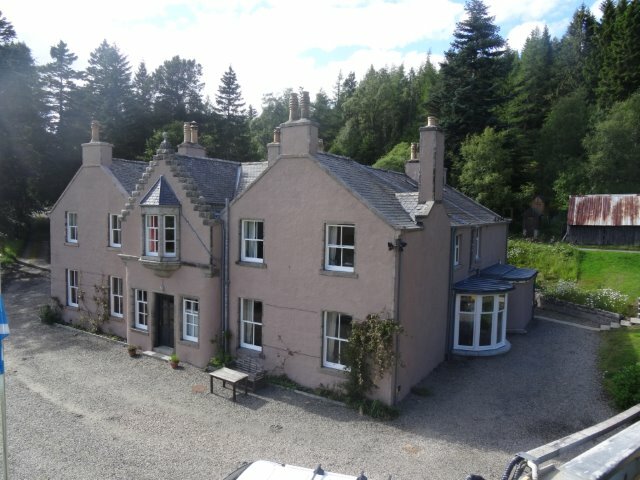 A mile down the track road is Badnabein Steading, which has recently been renovated into a rental cottage and is the perfect place for families and groups of friends to stay. It strikes the balance between isolation, while still being within walking distance of the pub — and never too far from a friendly face on this traditional, working estate. Aviemore Station is 35 miles from Allargue. Goodbrand and Ross is a 5-minute drive, and has a traditional tea room and ice cream parlour. For self-catering, the nearest option is Strathdon, where there is a Spar and a Post office for basics. Or head north over the Lecht Road to Tomintoul where McNabs Larder sell traditional Scottish ingredients. To stock up, drive a little further south to Ballater where you can call in at the Queen’s Bakery, for a legendary Balmoral loaf, and some treats from Cambus O’May Cheese Co. Ballater also has a Co-op, as well as Gow’s Delicatessens, HM Sheridan butchers and Dee Valley Confectioners — for those with a sweet tooth. Whisky-lovers might want to make a slightly further trek (40 minutes) to Dufftown, where The Whisky Shop has got a collection of 650 bottles which range from £23.95 (Loch Lomond single malt), to £19,600 (Mortlach 75 Years Old). Even further north in the town of Elgin (1 hour 10 minutes) is the historic whisky shop Gordon & MacPhail, and The Anderson pub in Fortrose is worth a visit if you’re nearby, to try a few of the 260 single malts behind the bar. If you fancy eating out, then the closest option is The Clockhouse in Tomintoul, or for a more formal dinner, Loch Kinord is a half hour drive. The Lecht Ski Centre: (1 mile) Day passes cost £29.00, and ski/boot hire is available to enjoy this small, but perfectly-formed resort. Renowned for its nursery slopes (1/2 day pass for children costs £11). Walking in The Cairngorms: We’re located in the heart of Britain’s largest national park. Enjoy it on foot— whether a short stroll over the tundras and heather-coated hillsides round the Don Valley, or a more ambitious expedition up a Monroe like nearby Ben Avon or Lochnagar. Mountain Biking: If you haven’t brought your own, it’s possible to rent mountain bikes to explore the 40 miles of off-road trails throughout The Cairngorms. A new trail has recently opened in nearby Tomintoul, and The Lecht is currently developing new trails too. Golf: A Cairngorms Golf Pass (£20) allows you to play all twelve courses in the national park, and also entitles you to 30% off green fees. From Braemar Golf Club, the highest course in Scotland (1,200ft), to Ballater Golf Club situated in beautiful Royal Deeside, you’ll be spoiled for choice. Fishing: Allargue is located on The River Don. Get in touch with Rosey to find out more about licences available. Birdwatching: Bring your binoculars — there are lots of curlews, pewits and black game. Stargazing: We have the clearest skies here, with barely any light pollution. The Northern Lights are also visible at certain times of year. Corgarff Castle: (1 mile) The castle is just a short walk from both Badnabein Steading and Dunnanfiew. It was built in the 16th century, and was of great historical significance during the Jacobite risings, when the redcoats were stationed there. Visit the reconstructed barracks from April – September, (adults £5.50; children £3.30). Lost Gallery: (12 miles) It’s an adventure in itself reaching ‘Lost’. The gallery is run by a husband and wife team, who set out to showcase contemporary Scottish artists, from painting and photography, to indoor and outdoor sculpture. Balmoral Castle: (14 miles) Steeped in history, Balmoral has been one of the residences of the Royal Family since 1852. The gardens were started under the supervision of Prince Albert, and range from Victorian greenhouse to kitchen gardens to formal lawns. Look out for special exhibitions, such as ‘Faithful Friends‘, running throughout 2014, which explores the Royal Family’s enduring love of dogs. Open to the public from April – July (adults £11; children £5). Malt Whisky Trail: Allargue is in the heart of whisky country, with the world-famous Whisky Trail on its doorstep. Journey through Speyside visiting working and historic distilleries and even a nearby cooperage. The Whisky Trail takes in Benromach, Cardhu, Dallas Dhu Historic Distillery, Glenfiddich, Glen Grant, The Glenlivet, Glen Moray, Speyside Cooperage and Strathisla. The Glenlivet Distillery: (17 Miles) The Glenlivet holds the title of being the oldest legal distillery – “the single malt that started it all.” The visitor centre offers free guided tours of the world-famous distillery and warehouse, with a complimentary dram to round it off. The Cairngorm Brewery Company: (36 miles) We’re a big fan of the Cairngorm brewery here. It’s a craft brewery, keeping alive traditional Scottish recipes such as Black Gold, Wildcat and Stag. The brewery has a good shop, and also run tours at just £3pp (Mon-Fri, 2:30; Sat-Sun booking essential; 01479 812222).